Whether touching affirmation or poignant prediction, these sticky notes provide a daily dose of insight and inspiration. 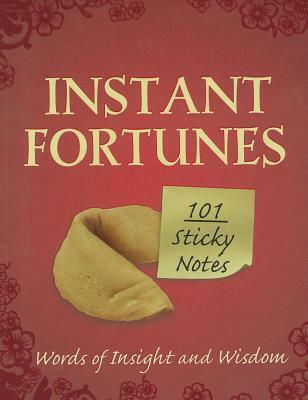 Self-adhesive and removable, these Instant Fortunes are perfect for you-or for sharing with a friend. You shine best in good company. Ask, and you are a fool for the moment. Don't ask, and you are a fool forever. The past may be messy, but the future is unwritten.